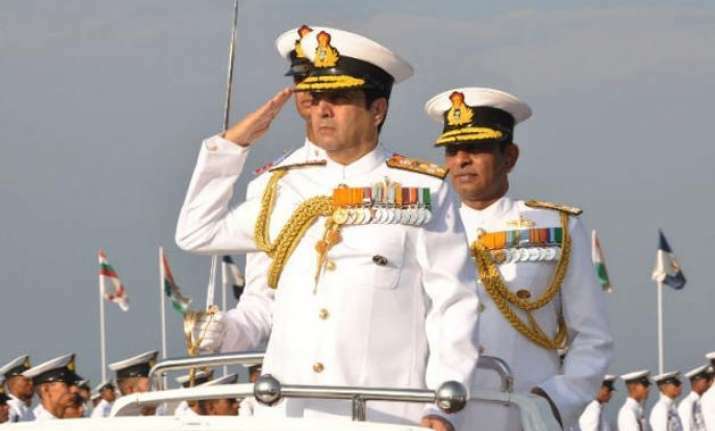 New Delhi: Indian Navy chief Admiral R.K. Dhowan will visit Singapore and Thailand from Monday to July 25, an official statement said on Sunday. Dhowan will be in Singapore from July 20-22 when he will meet the defence minister, chief of defence forces and the navy chief. He will visit the Singapore Armed Forces Training Institute for interaction with the faculty as well as young and middle level officers. In Thailand, Dhowan will interact with the defence minister, chief of defence forces and commander-in-chief of the Royal Thai Navy. Major areas under consideration for further strengthening cooperation between the two navies include hydrography and developing comprehensive maritime domain. India and Thailand share a maritime boundary in the Andaman Sea. In Singapore, an overview of the operational facilities at the Changi naval base is also planned, besides briefings on International Data Fusion Centre (IFC), Maritime Crisis Centre, Regional Humanitarian Assistance Disaster Relief Coordination Centre and Maritime Security Task Force looking after the city-state's coastal security. The statement said military engagements between India and Singapore span regular high-level interactions, including comprehensive defence cooperation. "Navy-to-navy cooperation between the two countries covers almost the entire spectrum of naval operations," it said. A bilateral exercise between the two navies started in 1994 and matured into an all-encompassing SIMBEX (Singapore India Maritime Bilateral Exercise). SIMBEX 15 was held in the South China Sea on May 15 when ships and maritime patrol aircraft from both navies participated.